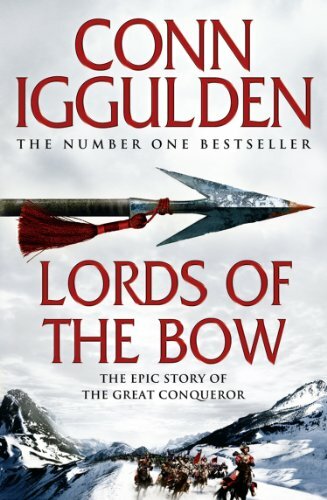 The second in the bestselling new Conqueror series on Genghis Khan, it is a wonderful, epic story which Conn Iggulden brings brilliantly to life. The gathering of the tribes of the Mongols has been a long time in coming but finally, triumphantly, Temujin of the Wolves, Genghis Khan, is given the full accolade of the overall leader and their oaths. Now he can begin to meld all the previously warring people into one army, one nation. But the task Genghis has set himself and them is formidable. He is determined to travel to the land of the long-time enemy, the Chin and attack them there. The distances and terrain-the wide deserts, the impenetrable mountains-make it a difficult venture even for the legendary Mongolian speed of movement, but the greatest problem is that of the complex fortifications, a way of fighting wars of a settled urban population which the nomadic Mongolians had never come across. Finding ways to tackle that and keeping his tribes together in a strange environment presents another new and exciting challenge for Genghis Khan. Not only must Genghis succeed in this incredible campaign, but he must also reconcile the restless factions among his own generals, mediate between his ambitious brothers and cope with his own reactions to his growing sons. The young warrior has become a notable and victorious military commander of thousands: he must now learn to become a great leader of peoples of many different races and religions. Lords of the Bow is a deeply satisfying novel. It is epic in scope, convincing, and fascinating in the narration of an extraordinary story. Above all Genghis Khan continues to dominate the scene as he matures from the young boy of Wolf of the Plains to the great Conqueror.